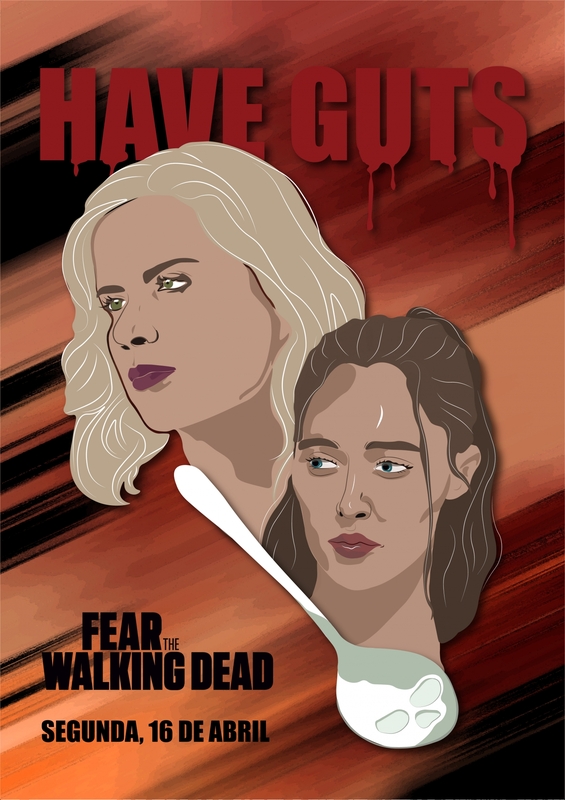 This poster is based on Madison and Alicia Clark, mother/daughter fighting duo that “has guts”. Fighting for survival, they have overcome adversity, protecting each other with everything they have, even if it’s only a spoon. To that we say: have guts and fear the walking dead!